Join us at the beautiful Talley Vineyards, as we learn from Weavings by Alexa for another fabulous beginner's class. 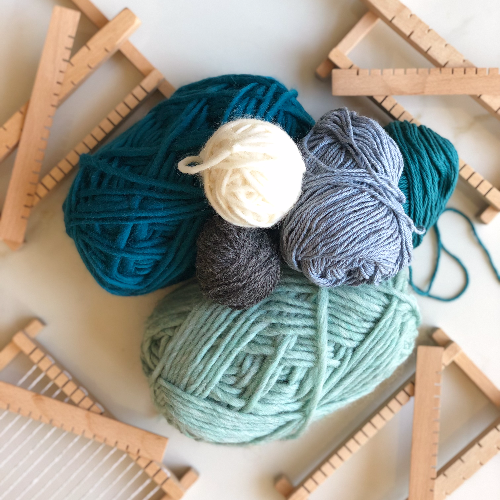 We are super excited to have the opportunity to watch, learn, and do, as Alexa shares her expertise at this age-old craft of working with natural fibers and creating beautiful works of art for our homes and/or offices. Each attendee will be provided with their very own loom to take home, and an assortment of natural fibers to work with. We will learn how to make a weaving from start to finish, with the awesome finale of taking home our endeavors. As with all of our workshops, there will be food and a glass of Talley's scrumptious wine! Make sure to arrive a few minutes early. We will be starting with a meet and greet while we enjoy the lovely food spread, and then we will be getting into learning and doing! Let's create! ** All attendees must be 21 years or older. ***Due to limited seating and high demand of workshop tickets, we have a 48 hour cancellation policy to receive a refund or to reschedule. We have a workshop minimum of at least 5 people. If we need to cancel the workshop we will notify the guests at least 3 hours in advance. Either a refund can be issued or credit can be kept on file to be used at a future workshop. Thank you for understanding!